Academic Press (Elsevier) published a book Vladimir Mazalov Julia Chirkova. Networking Games. Network Forming Games and Games on Networks. 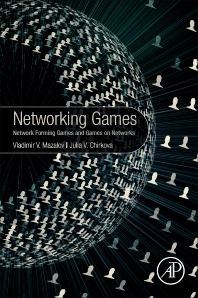 Networking Games: Network Forming Games and Games on Networks applies game theory methods to network analyses. Its concentration on rigorous mathematical techniques distinguishes it from other books on game theory. Developed by a mathematician and game theorist with extensive contributions to applied mathematics, game and probability theory, and written for graduate students and professionals, the book's illuminations on network games can be applied to problems in economics (in industrial organization, regulation and competition policy, for instance) and operations research. 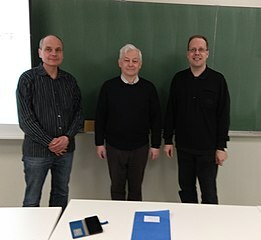 Professor Alexander Kirillov was invited to University of Turku to read the course for students "Poincaré’s last geometric theorem: generalizations and applications". Springer published a book Leon A. Petrosyan, Vladimir V. Mazalov, Nikolay A. Zenkevich. Frontiers of Dynamic Games. 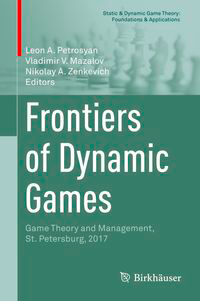 This volume collects contributions from the talks given at the Game Theory and Management Conference held in St. Petersburg, Russia, in June 2017. It covers a wide spectrum of topics, among which are: game theory and management applications in fields such as: strategic management, industrial organization, marketing, operations and supply chain management, public management, financial management, human resources, energy and resource management, and others; cooperative games; dynamic games; evolutionary games; stochastic games.